Ken is a graduate of Rider University where he was a 4 year athlete and earned a degree in business administration. He has been with our company for over 7 years and specializes in basement waterproofing, crawlspace repair, and foundation repair. Ken is a true professional and brings a focused, intelligent approach to each job he is involved with. Quality 1st saw what an asset Ken would be to the company with his experience and eagerness to help people, and brought him on board. He began with the company originally as in installer which he did for 2 years. He then worked as a service technician for 1 year and got promoted to System Design Specialist. He is a trusted and valued member of the team and upholds the standards of the company. Ken has been thoroughly trained and has earned the highly esteemed title "Certified Waterproofing Professional," through the Basement Systems International Waterproofing Contractor Network. Ken's previous experience within our company has taught him excellent troubleshooting skills which have benefited his many customers. 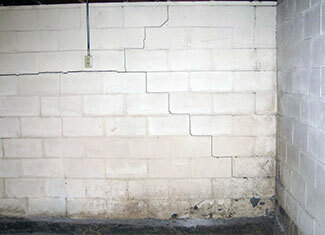 He has designed hundreds of waterproofing, crawlspace repair and foundation repair jobs over the last 7 years at our firm. Kenneth enjoys meeting with homeowners and helping them solve their basement water problems, enabling them to get more out of their homes. In his spare time you may find him coaching baseball, giving pitching lessons, or taking a nice long ride on his motorcycle with friends. 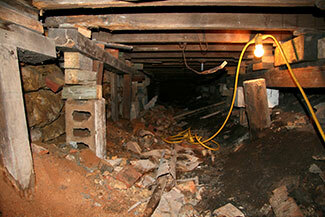 A Brooklyn Heights, Brooklyn NY basement with wet walls needed to be waterproofed. Quality 1st Basement Systems installed CleanSpace vapor barrier to keep out moisture.